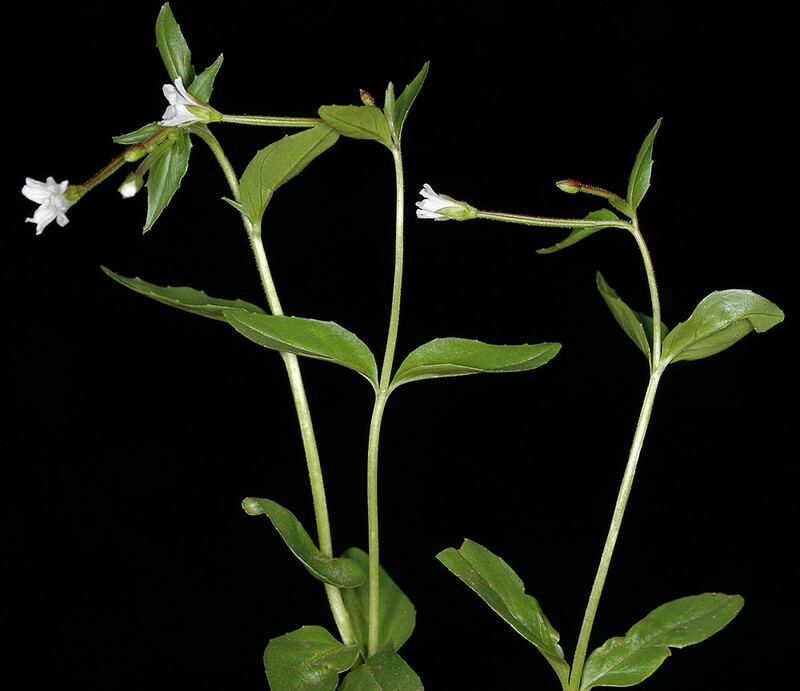 White-flowered willow-herb has a circumboreal distribution, and is found in western North America and the extreme northeastern region. 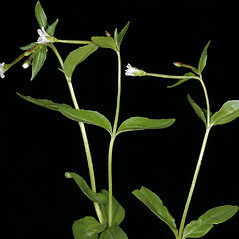 It just enters New England in northern boreal Maine and New Hampshire, where it inhabits alpine gullies, cliffs, stream banks and snowbank communities. 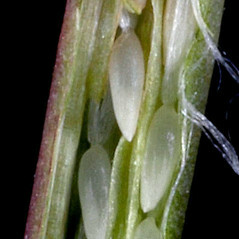 leaf blades 10-25 mm long and 3-7 mm wide, usually entire, and outer surface of seeds smooth (vs. E. hornemannii, with leaf blades 19-40 mm long and 6-14 mm wide, weakly serrate, and seeds minutely pitted on the outer surface). 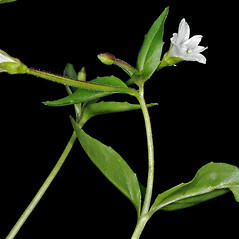 petals usually pale purple in life and often fading to white with pink, red, or blue tinging in drying, 4–8 mm long, and outer surface of seed minutely papillose (vs. E. lactiflorum, with petals white, 2.5–4 mm long, and outer surface of seed minutely pitted). 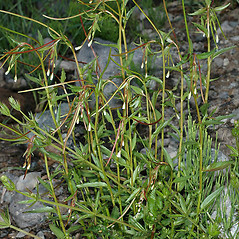 Epilobium alpinum L. var. 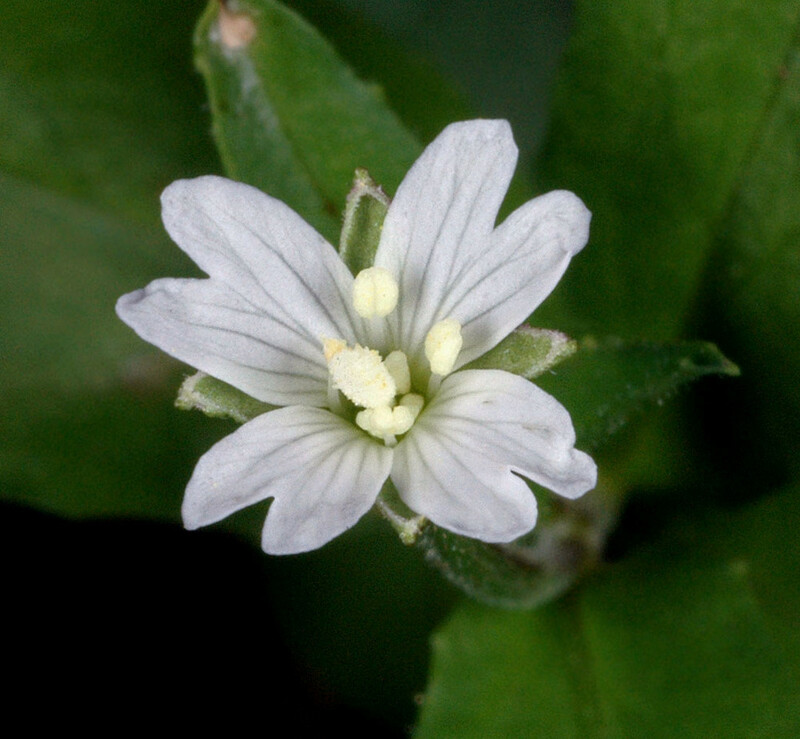 lactiflorum (Hausskn.) C.L. Hitchc. 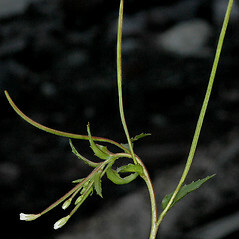 white-flowered willow-herb. 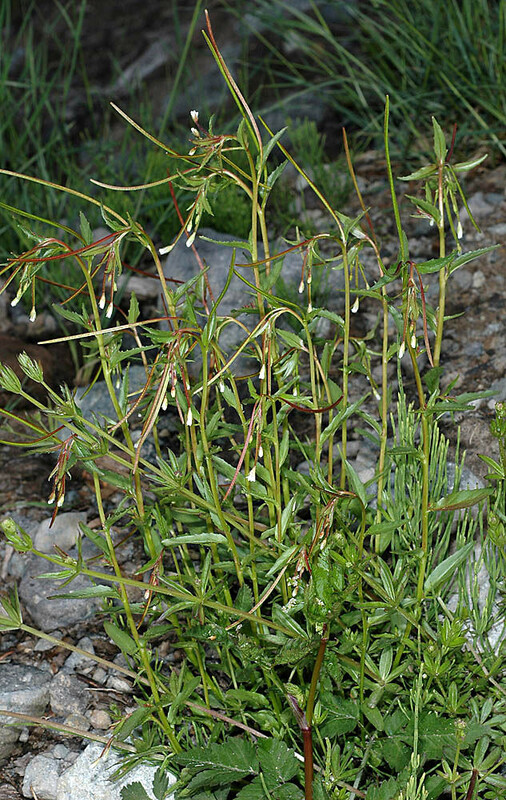 Epilobium alpinum L. var. 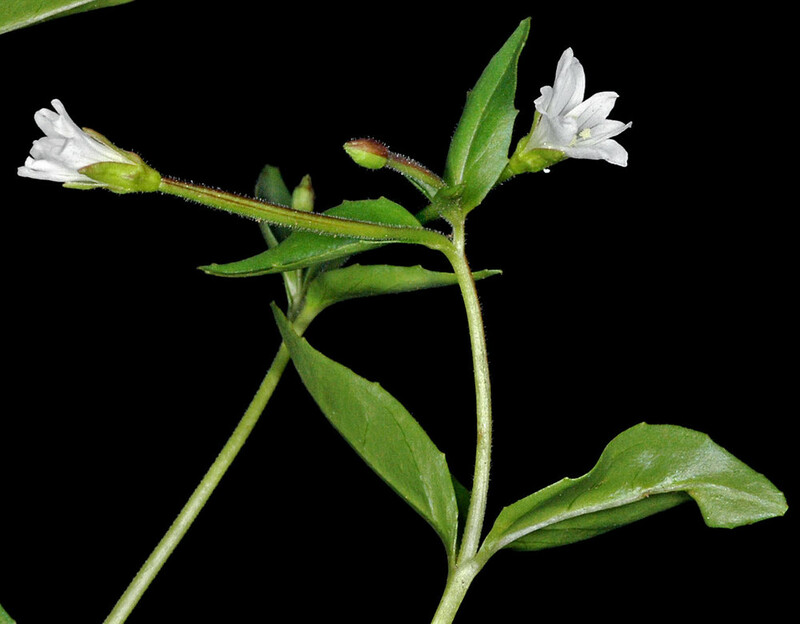 lactiflorum (Hausskn.) C.L. Hitchc. 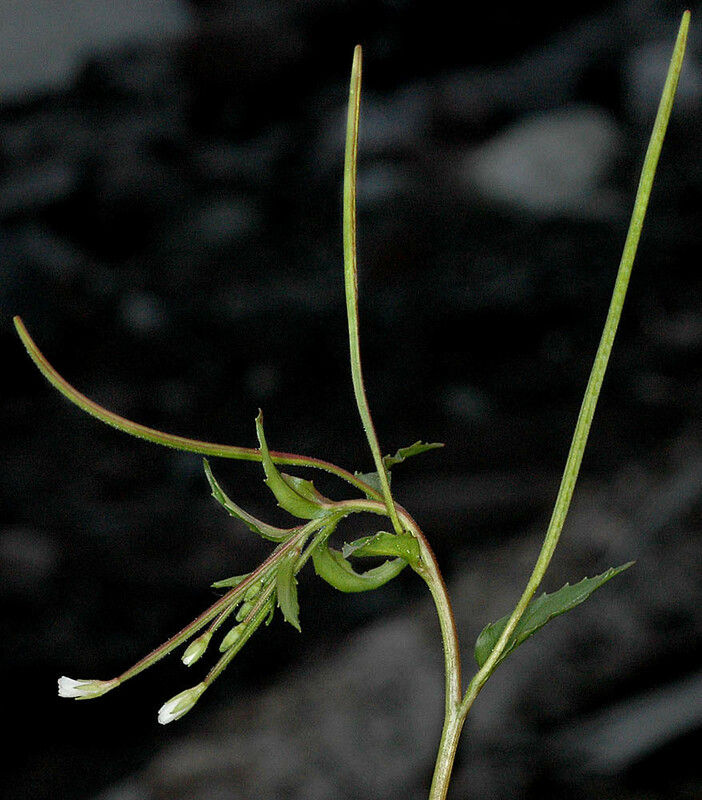 ; E. hornemannii Reichenb. var. lactiflorum (Hausskn.) D. Löve • ME, NH; northern portions of states. Alpine gullies, cliffs, stream banks, and snowbank communities.